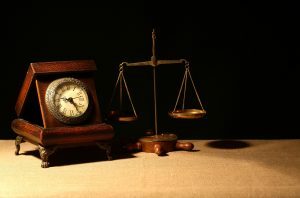 What Does Statute of Limitations Mean in an Injury Lawsuit? | Craven, Hoover, & Blazek P.C. ← Is an Unfortunate Medical Outcome Necessarily Medical Malpractice? When a person is injured in a negligent accident, they or their families may wish to pursue compensation through a personal injury lawsuit. In this case, they have a limited amount of time in which they can legally file a claim or lawsuit against an opposing party. This is called the statute of limitations. Continue reading to learn more about how statute of limitations works in an accident lawsuit, and who to call for information about Indianapolis personal injury claims. Each state has a different time period for their own statute of limitations. These time agendas are set by state government and differ depending on the type of accident, charge, or crime. In the case of a personal injury claim, the lawsuit would fall under “civil law” and have a set time frame in which a defendant can be sued for a victim’s damages. Some states may allow 3 years to file a lawsuit after an injury or accident; while another state may only allow 2 years. These laws are set in place to protect the defendant. It prevents potential defendants or opposing parties from living in a state of perpetuity, where they can be sued or prosecuted at any time during which. They are intended to bring legal claims to court in a timely manner. The statute of limitations “time clock” always begins at the scene of the accident, or on the date of the loss. The actual day a person becomes a victim of a personal injury is the same day this metaphorical time clock starts. Once this time limit runs out, a lawsuit can no longer be filed. In Indiana, the statute of limitations for civil lawsuits, particularly pertaining to personal injury, is two years. For other types of civil crimes, time can extend to six years or more. So if you or a loved one has been negligently and seriously hurt in an accident within the last two years, you may still be eligible for remuneration for your damages and losses. Contact an Indianapolis personal injury lawyer for information right away, before your time runs out! Call Craven, Hoover, and Blazek P.C. at 317-881-2700 and speak with a licensed personal injury lawyer in Indianapolis, Indiana today. Attorney, Daniel Craven, is eager to help you recover the compensation you deserve after being injured in an accident. We offer free initial consultations to assess your case and determine if you have a valid claim. Also, we never collect lawyer fees unless we recover compensation for you! Call 317-881-2700 and speak with a friendly and knowledgeable legal representative about your recent personal injury in Indianapolis, IN today. This entry was posted in Personal Injury and tagged Accident Attorneys, accident lawyer Indianapolis, Compensation lawsuits, Indiana Statute of Limitations, Indianapolis personal injury, personal injury attorney, Statute of Limitations. Bookmark the permalink.